Carlsbad Dental Associates was founded by Dr. Edward Adourian to provide comprehensive and multi-specialty dental services and care in one convenient location in Carlsbad to meet your whole family’s dental and oral health needs, from general dentistry, restorative dentistry to cosmetic dentistry. 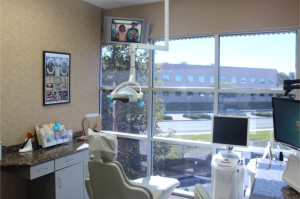 Our state-of-the-art dental office is equipped with modern dental tools, equipment and amenities to allows us to provide you with accurate, comfortable and efficient dental care at an affordable cost. We have intra-oral cameras and low-radiation digital X-rays that emits up to 90 percent less radiation than regular X-rays. With our unique combination of conveniences with multiple expertise in dentistry and modern technology, Carlsbad Dental Associates is able to provide you with the best dental experience and transform your smile. Our team of certified dental specialists are able to incorporate new techniques and procedures while maintaining the priority of comfort, convenience and well-being of our patients. At Carlsbad Dental Associates, we adhere to the highest standard of safety and maintain high degree of professionalism to provide our patients the safest and highly personalized dental treatment and care. 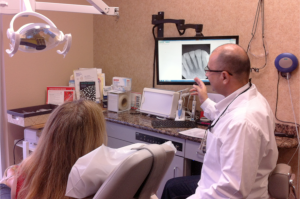 Carlsbad Dental Associates offers some of the latest cutting-edge technology in dentistry. Visiting your dentist at Carlsbad Dental Associates need not be uncomfortable. Our office is set up to help you relax while we work on restoring or enhancing your smile. Anxious or terrified of visiting a dentist? Whether it’s from a previous visit to a different dental office, fear of pain, or from scary stories you’ve heard or phobia of needles, our Carlsbad dentists offers you safe sedation dentistry for an anxiety-free, pain-free dental visit. With oral sedation, we can ease your anxiety and allow us to work on your teeth for long period of time. Your safety remains our top priority. At Carlsbad Dental Associates we continue to advance our knowledge and skills in safe sedation techniques and procedures. We closely monitor our patient to ensure blood pressure and oxygen remain at a safe and comfortable level.